Providing you the best range of overhead crane and flame proof overhead cranes with effective & timely delivery. 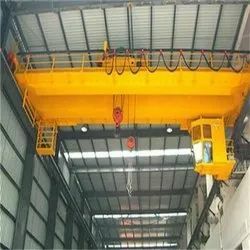 We hold expertise in offering a high grade range of Over Head Crane. We use modern technology and top quality components for designing these over head cranes under the management of experts. Customers can take the entire range of over head cranes from us at competitive price. Flame Proof Crane upto 50 TON capacity for GAS group IIA, IIB and IIC are manufactured by us in accordince with IS standards. For such equipment we are approved by P.D.O., Oman. Looking for Overhead Cranes ?